These classic stoneware crocks come in one and two quart sizes that can be used to display your fruit with vintage flair. These fruit bowl crocks are made in America with a lead-free glaze and are microwave, dishwasher, and oven safe. 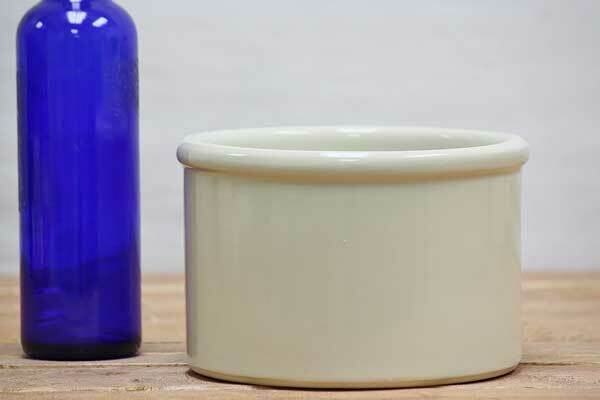 We also offer vintage ohio stoneware crocks in 1 gallon, 2 gallon, 3 gallon, 4 gallon, 5 gallon, and 10 gallon sizes for traditional uses like fermentation. As with all our Ohio Stoneware products, these ceramic fruit bowls contain no lead or harmful chemicals.